Santa Clause is coming to town soon and he is coming on over with lots of toys and gifts for all well-behaved Christian boys & girls. Do you think he sits in his workshop all year long making those gifts by himself? Now that would just be silly...he has little helpers called Christmas Elves. A Christmas elf is a hardworking little man or woman who works hard all year long to make toys for children all over the world. It is a hard, unforgiving job, but someone has to do it. If you want to make some elves to celebrate Xmas, then here is the page you are looking for. There are many crafts ideas & inspiration on this page. Have fun! 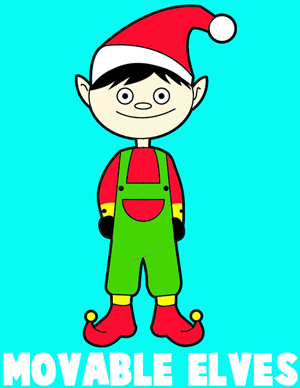 Here is a cute craft to make a Christmas elf with moving arms and legs. 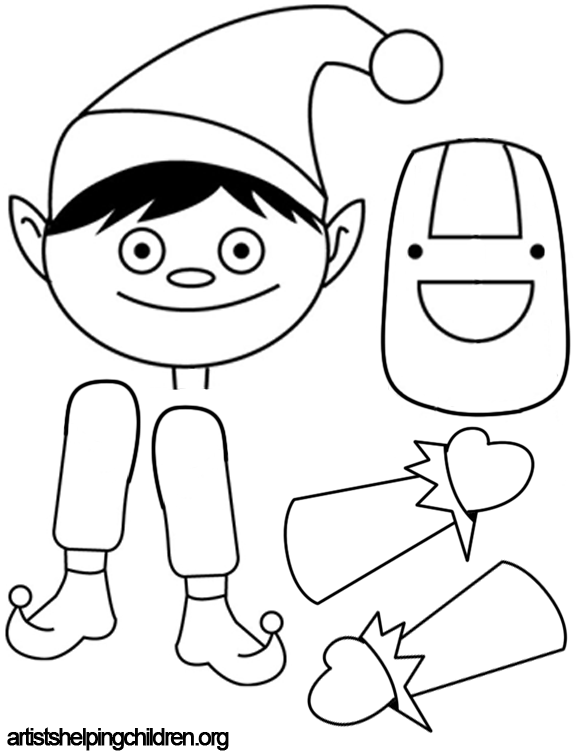 Start off by printing the following Christmas Elf Template. Then cut out the elf's body, head, arms, and legs. Then use brass paper fasteners to attach the body parts to the elf's body. Now you will be able to move his legs, arms, and even head. Have fun! Christmas Pinecone Ornaments - Make pinecone Xmas ornaments of Elves or Santa Clause.